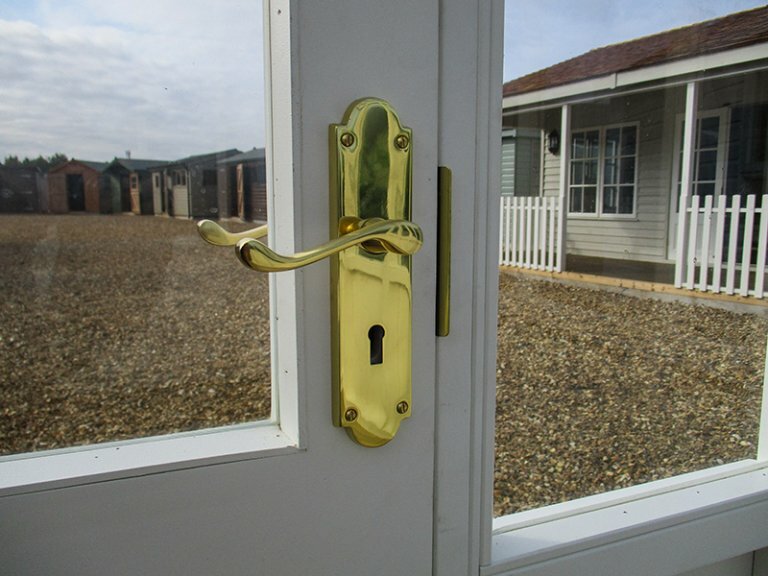 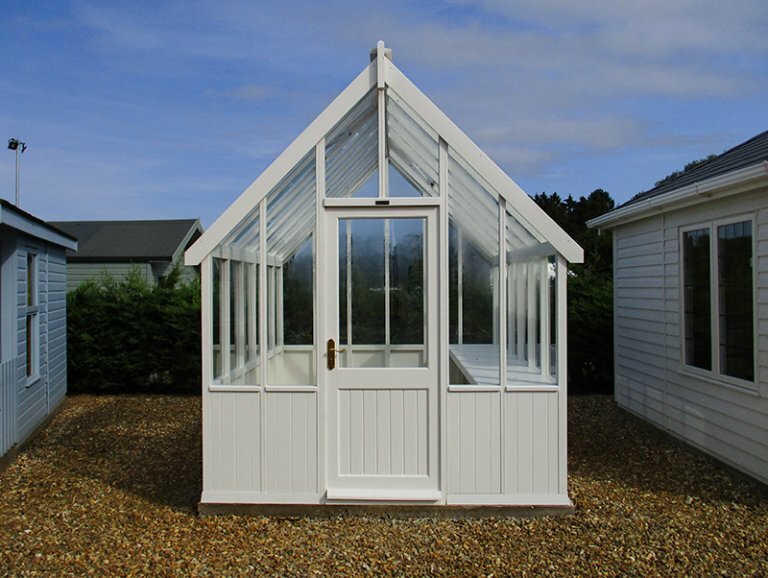 This stunning 2.4 x 3.0m has been installed at our HQ show site in Norfolk and boasts everything from automatic-opening roof vents to the Ivory shade in our exterior paint. 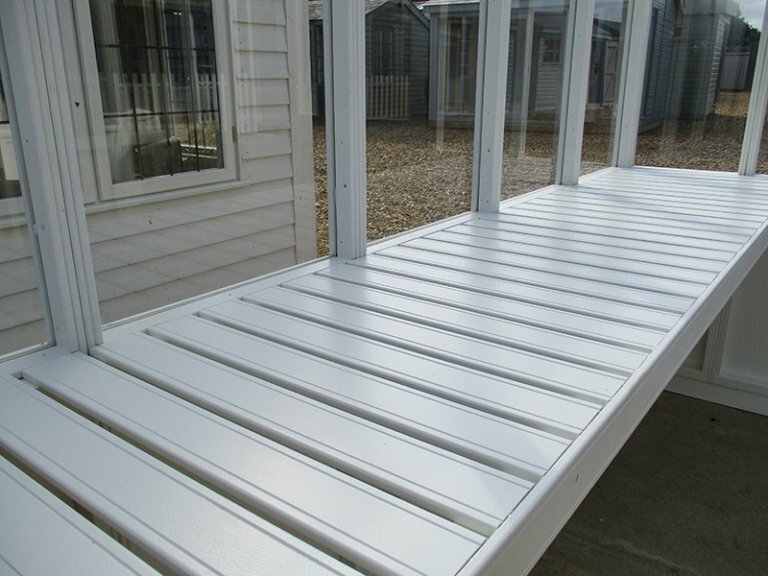 This layered external coating will ensure that the elements are kept off and that the timber is protected against fungus and woodworm. 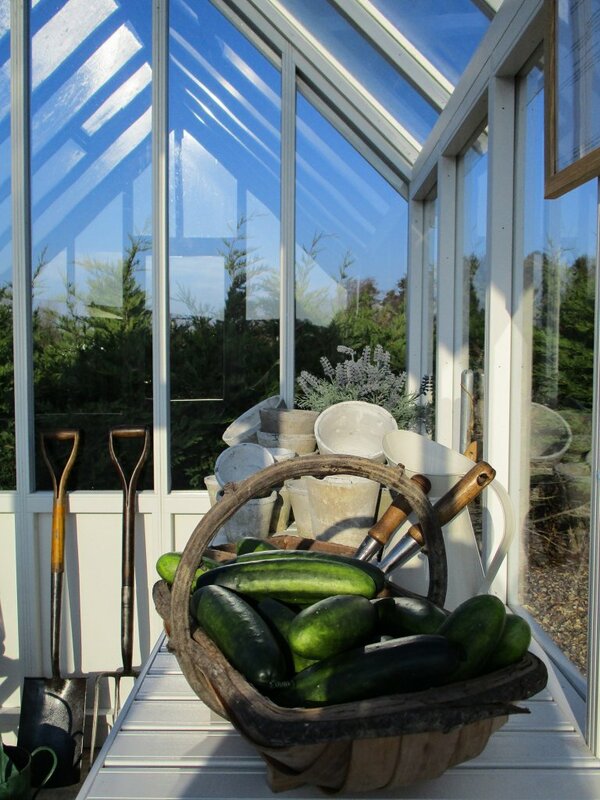 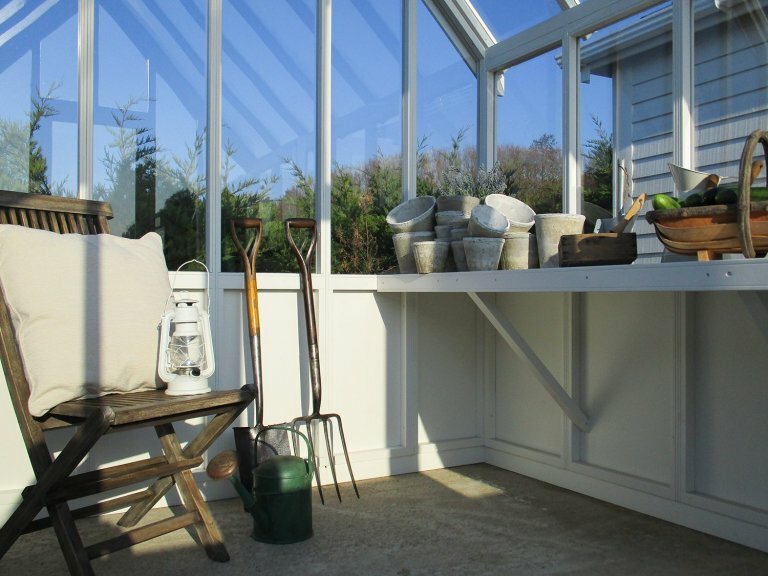 Internally, the Greenhouse benefits from the added feature of a slatted workbench which offers various storage and shelving options for further plants or gardening equipment. 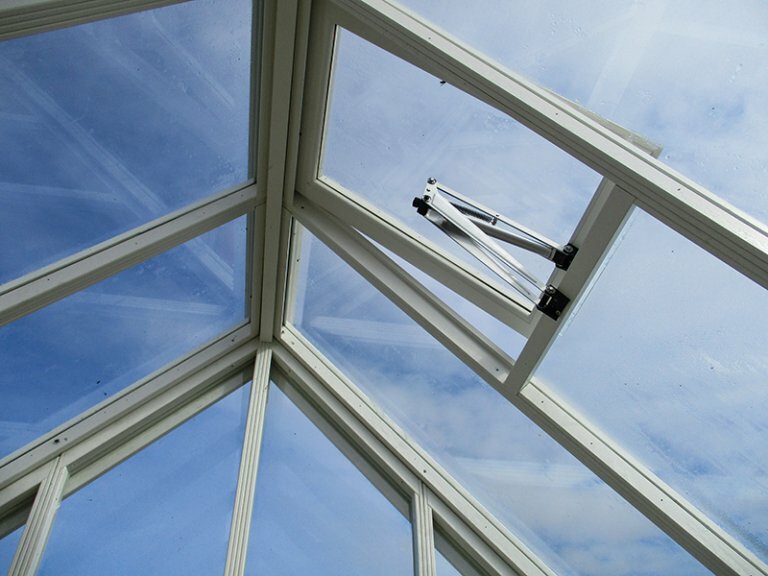 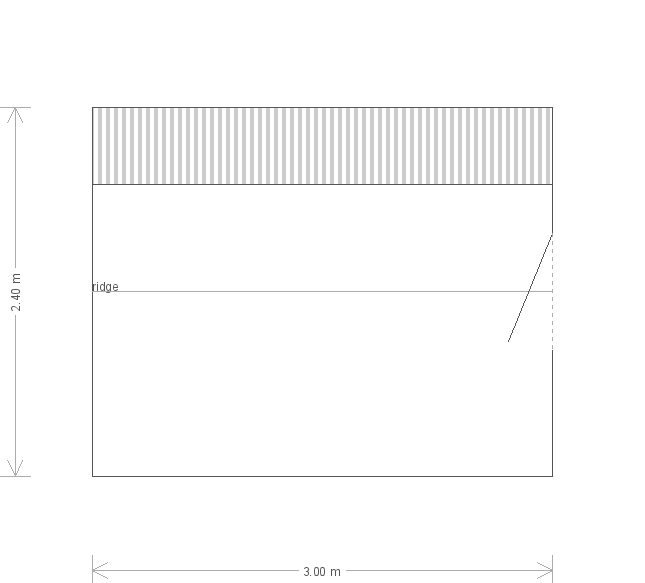 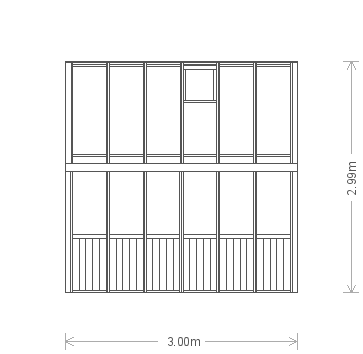 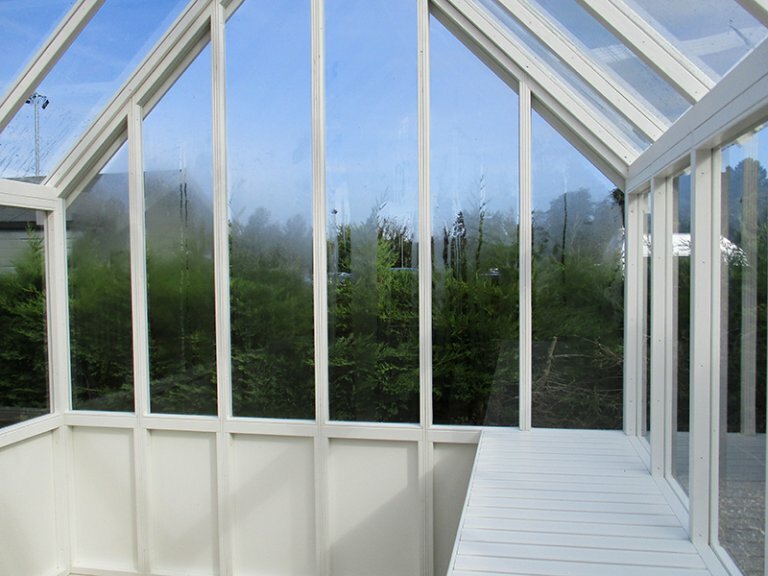 All windows on the greenhouse are fabricated from 4mm toughened safety glass. 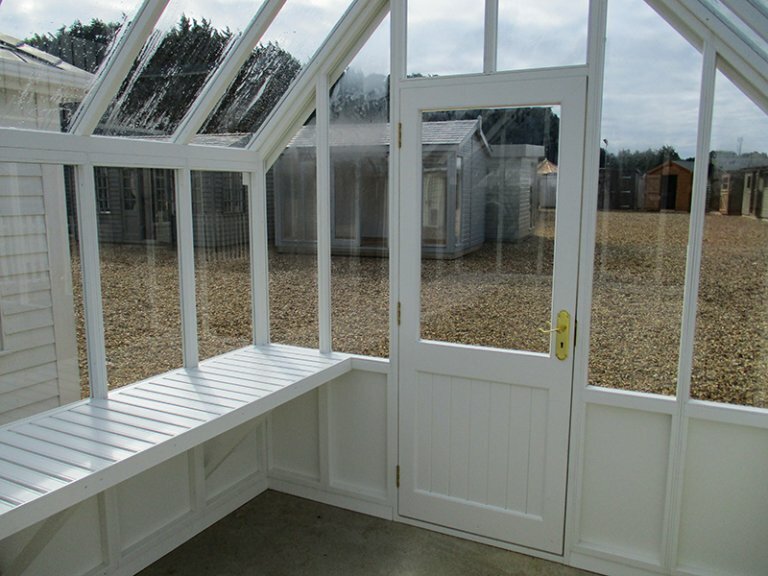 Installed close to the side of our customer’s Cotswold house in their kitchen garden in Broadway, Worcestershire, this 2.4 x 3.0m Victoria Greenhouse will add to the customer’s growing potential, allowing them to grow more exotic produce that requires a warmer environment, as well as what they will be growing in the surrounding raised beds. 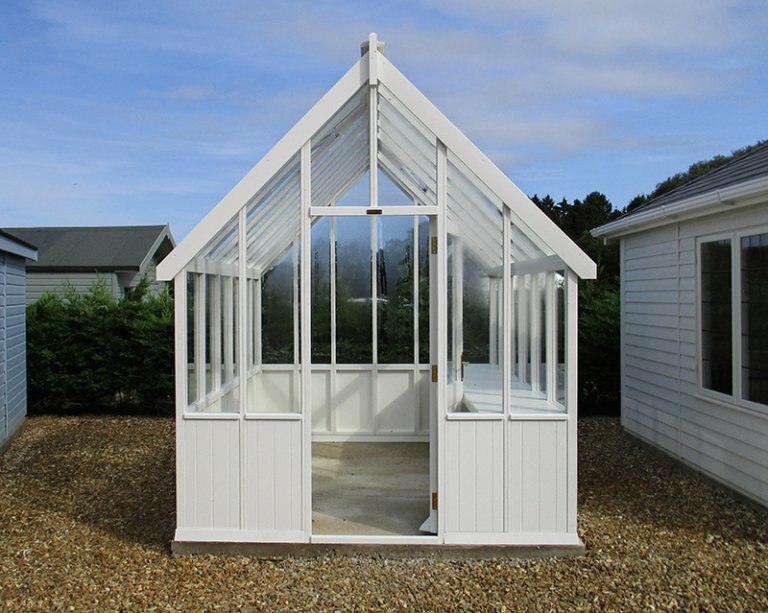 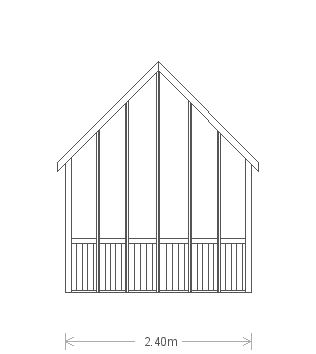 Alike all of our timber buildings, the Greenhouse was designed and built at our Norfolk factory before being installed at the customer's address by our in-house fitting team. 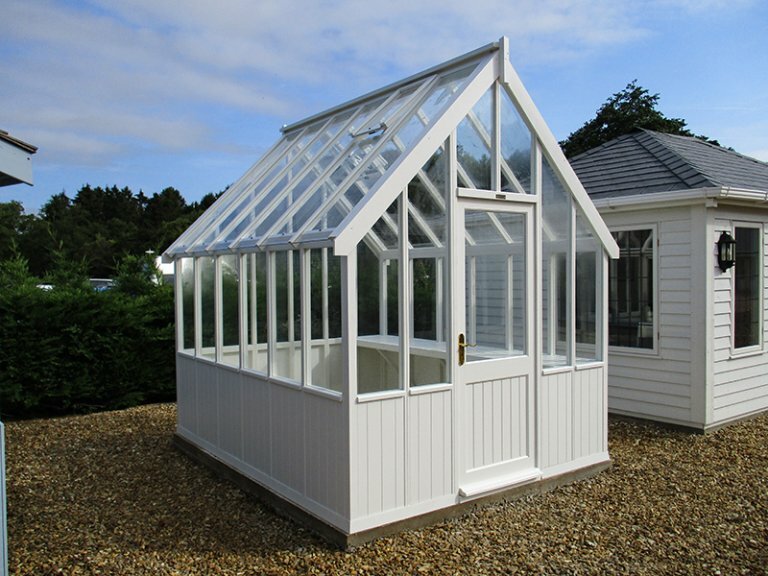 This charming, traditional Victoria Greenhouse was designed and hand-built at our Norfolk factory before being both delivered and installed at the customer's specified delivery address by our in-house installations team. 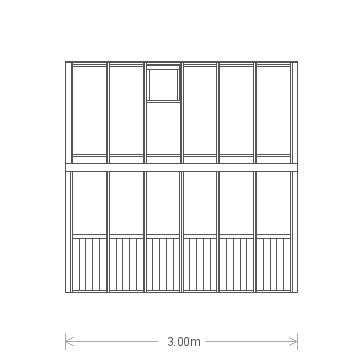 Crafted from the finest FSC® certified Scandinavian Redwood timber, the building's design is inspired by the traditional and timeless Victorian style that saw the building become popular.